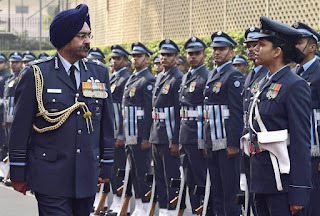 He highlighted the Institute's role in "the progress made in Night Vision Goggle training" in his speech, calling it "an example of the support aerospace medicine has made to the evolving flying environment". 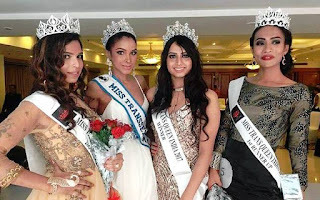 At the final event, 16 contestants from Delhi, Maharashtra, Uttar Pradesh, Manipur, Karnataka and other states will compete to win the Miss Transqueen India title. 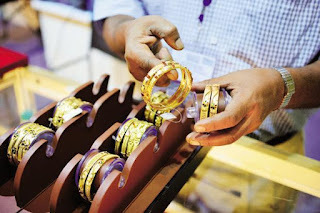 The government restricted imports of gold and silver items from South Korea in a bid to check spurt in inbound shipments of precious metals from that country. These restrictions are being imposed against the backdrop of sudden surge in imports of precious metal from South Korea, with which India has a free trade agreement since January 2010. The collections from customs duty and IGST from imports post implementation of GST has almost doubled to Rs 30,000 crore in July. Trump administration restricted Venezuela’s ability to borrow money from American creditors, a prohibition intended to starve President Nicolás Maduro’s troubled government of much-needed cash. 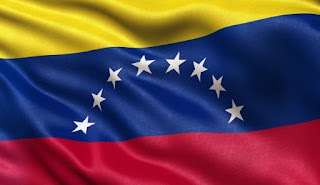 The Treasury Department, following through on President Donald Trump’s threat of economic sanctions, banned debt trades for bonds issued by the Venezuelan government and its state-owned oil company, Petróleos de Venezuela SA, the economy’s financial driver. But it continued to avoid the penalty that would inflict the most damage on the South American country: an oil embargo. The U.S. debt ban could push Venezuela closer to financial default. 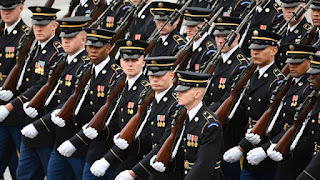 Trump directed the Secretary of Defense, Secretary of Homeland Security with respect to the US Coast Guard, to return to the longstanding practice on military service by transgender individuals that was in place prior to June 2016. The memorandum has requested the Pentagon to develop an implementation plan for the ban by February 21, 2018, which should be put in place on March 23, 2018. Taiwan has launched Formosat-5, the first homegrown observation satellite, from an air base in the US, the island nation's National Space Organisation (NSO) announced. 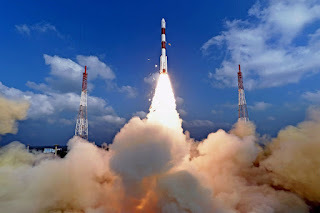 The octagonal satellite - 2 metres high and 1.2 metres in diameter - cost some 3 billion Taiwanese dollars ($100 million) and made contact with a station in Norway at 4.13 a.m., Efe news quoted NSO as saying. The satellite is equipped with Complementary Metal-oxide-semiconductor sensors to observe the Earth. Taiwanese President Tsai Ing-wen called the launch a great leap that demonstrates Taiwan's technological progress. 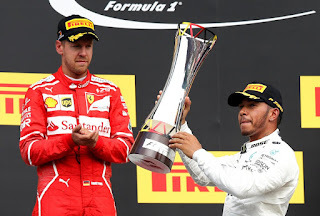 Lewis Hamilton celebrated his 200th Formula One race in style on Sunday with a pole-to-flag Belgian Grand Prix victory for Mercedes that halved Sebastian Vettel's championship lead to seven points. Vettel finished second for Ferrari, 2.3 seconds behind, after pushing his rival all the way without being able to get close enough to make a move stick in what amounted to a two-horse race of relentless pressure. PV Sindhu grabbed a silver medal at World Badminton Championships at Glasgow. 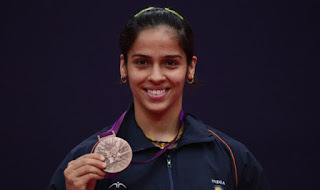 Saina Nehwal settled for a bronze medal as her impressive run at the World Badminton Championships came to an end after a heartbreaking loss against Rio Olympics bronze medallist Nozomi Okuhara of Japan in the women's singles semi-finals. Saina, who had won a silver medal two years ago at Jakarta, gave everything in a battle of attrition but Okuhara's never-say-die attitude helped her to outmaneuver the Indian in an energy-sapping semifinal clash at the Emirates Arena. There are very few records left for Lionel Messi to break. He’s mostly competing against himself in individual honors, trying to set marks that can’t be touched by anyone who comes after him. The La Liga goalscoring record is no exception. 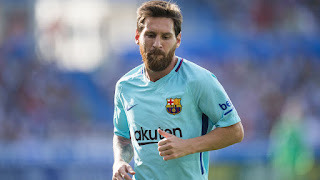 Messi has been La Liga’s all-time leading scorer for a few years now — the previous record was held by Telmo Zarra, with 251 career goals. On Saturday, Messi became the first player in La Liga history to reach the 350 goal mark. The banking sector is saddled with non-performing assets (NPAs) of over Rs 8 lakh crore, of which Rs 6 lakh crore is with public sector banks (PSBs). Earlier this month, Parliament had approved the Act, which replaced an ordinance in this regard. 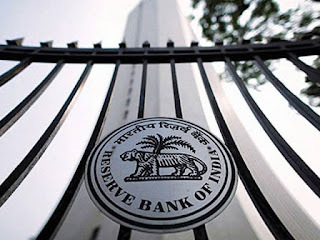 The government in May had promulgated an ordinance authorising the Reserve Bank of India (RBI) to issue directions to banks to initiate insolvency resolution process under the Insolvency and Bankruptcy Code, 2016. 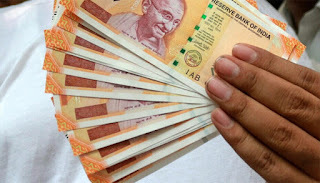 Following the ordinance, the RBI had identified 12 accounts each having more than Rs 5,000 crore of outstanding loans and accounting for 25 per cent of total NPAs of banks for immediate referral for resolution under the bankruptcy law. The loan defaulters identified by the RBI include, Essar Steel, Bhushan Steel, ABG Shipyard, Electrosteel and Alok Industries. The Reserve Bank today launched the bright yellow Rs 200 notes and said it will shortly ramp up the supply of the new currency note across the country. Long queues of people were witnessed at RBI offices today to get the new Rs 200 currency note that has been introduced for the first time by the central bank. As per the new policy on theme-based currency notes, the Rs 200 bill bears motif of Sanchi Stupa to depict India's cultural heritage. The base colour of the note is bright yellow, the RBI said. The RBI had said that Rs 200 note will provide the "missing link" and ensure optimal mix of currency denominations. Prior to the introduction on the new notes, India has currency denominations of Rs 1, 2, 5, 10, 20, 50, 100, 500 and 2000. As such, in the lower end of the denomination series, Rs 200 has been the missing link. The RBI had recently introduced Rs 50 note with a new look and additional security features. The BBPS through its centralised bill payment system will allow the users to use a single website or outlet to pay all their monthly or repetitive bills such as mobile phone and electricity. Bill payments is a major component of the retail payment transactions in India, and is characterized by the presence of large number of billers, and aggregators, who provide a variety of payment options to customers. According to the Digital Payments 2020 report by Google and Boston Consulting Group, non-cash contribution in the consumer payments segment will double to 40 percent. 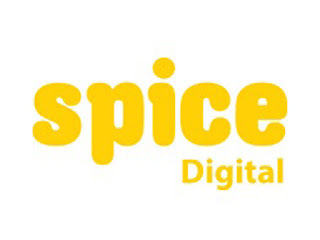 Spice Digital forayed into FinTech space three years ago. Today, SDL's Spice Money is India's leading India stack based FinTech Company. In August, 2016 the NPCI launched a pilot project for BBPS with eight BBPS operating unit, Spice Digital being one of the chosen units. 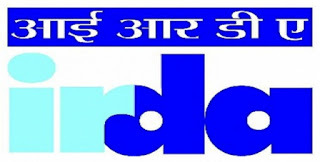 The Insuranace Regulatory and Development Authority of India (IRDAI) has launched a Central Database of all Insurance Sales Persons in the country. Christined as `Envoy’, the database will esnure that all licensed insurance sales persons working for insurers and intermediaries including entities such as insurance agents, broker qualified persons, specified persons of corporate agents, authorised verifiers of web aggregators, point of sales persons (POS) etc do not work with multiple insurers and intermediaries in the same business category. At the present stage, Envoy covers POS, specified persons of corporate agents, qualified persons of insurance brokers and authorised verifiers of web aggregators. The database also provides a search facility for insurers and insurance intermediaries whereby an applicant insurance sales person's details are queried for a match in the database. Appointment of such a person by the insurer or insurance intermediary shall be taken up only after ensuring that the Applicant does not already figure in the database. Defence Minister Arun Jaitley today launched BEML’s third Line ultra modern metro manufacturing facility to enhance the production of metro cars for the forthcoming metro projects in India. Earlier in the morning, he inaugurated the indigenously designed and developed biggest ever diesel excavator BE1800D and crawler dozer BD475-1 and T-72 hull, meant for fitting into tanks, at Kolar Gold Fields (KGF) unit of Bharath Earth Movers Limited. Later, a number of organisations and local leaders including Kolar MP Muniyappa submitted memoranda against disinvestment of BEML. 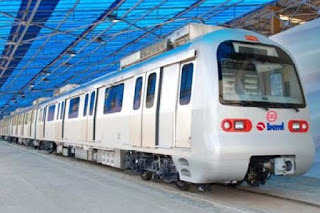 BEML had forayed into manufacturing and supply of hi-tech metro cars during 2002 and as a leading rolling stock supplier has so far supplied over 1,000 metro cars to Delhi, Bengaluru and Jaipur Metro Corporations. 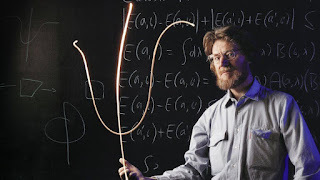 A trio of scientists who defied Albert Einstein by proving that quantum particles, when correlated in pairs, interact with each other regardless of their distance, will be honored with the John Stewart Bell Prize from the University of Toronto. Einstein wasn't convinced with this theory of Quantum Entanglement and had called it "spooky action at a distance". Fifty years ago, Belfast scientist John Stewart Bell proved Albert Einstein wrong. Bell is regarded as one of the 20th Century's greatest physicists, and was widely believed to have been in line for a Nobel Prize in Physics when he died in 1990 from a stroke. Bell's Theorem - more formally known as 'On the Einstein-Podolsky-Rosen paradox' - demonstrated that Einstein's views on quantum mechanics - the behaviour of very small things like atoms and subatomic particles - were incorrect. 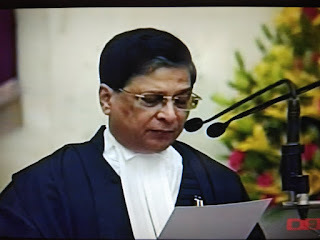 Justice Misra was sworn in as the 45th Chief Justice of India at a brief ceremony in the Darbar Hall of Rashtrapati Bhavan. President Ram Nath Kovind administered the oath of office to Justice Misra. Chief Justice Misra will hold office for the next 13 months, till 2 October 2018. As per the established practice, Chief Justice Khehar had had last month recommended Justice Misra's elevation as his successor. 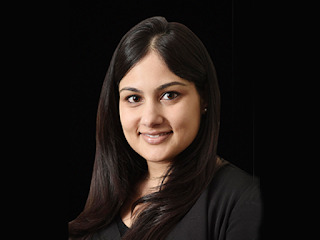 Tata Sons appointed Roopa Purushothaman as Chief Economist and Head of Policy Advocacy to drive macro-economic research as well as all policy and advocacy initiatives as relevant to the businesses of the salt-to-software conglomerate.